Can drinking from paper cup change shape and size of your nose? 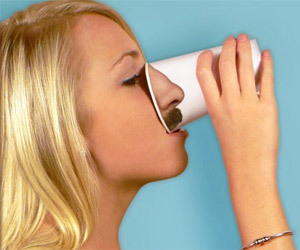 Nose Paper Cups can do that in a funny way. These are paper cups with very real looking nose images printed on them.